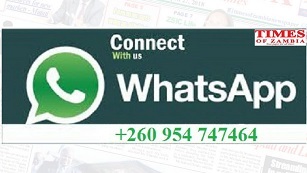 BACK to back fun, music and social interaction all weaved into a basket full of entertainment awaits Ndola residents as two different ColorFest events are to be staged tomorrow and next weekend. This Saturdays’ ColorFest being organised by Flying Fish, East Point, Urban Hotel and Room 101 , among others will be staged at the Ndola Boating Club while next weekend’s event will be held at the Ndola Wanderers Club. In a city that is ever hungry with entertainment, hordes of patrons are anticipated to be magnetized by these back to back ColorFest. Headlining acts who have confirmed participation include Chef 187, Roberto, 408 Empire , Kamouflage, The Revolution band , . This weekends’ Color Fest will be spiced up by Lusaka based DJs who will be burning the decks alongside their Copperbelt based counterparts. DJs expected to burn the decks include DJ King Q Kasul, DJ Eazy T, Dj Hussein , DJ Extra Tall and DJ Chipsy. According to Alex Makenzi who is one of the organizers, atleast 5,000 people have already confirmed their attendance . The two Color Fest events come barely two months when a similar event was held at Mindolo Dam whose location is on the fringes of Kitwe. According to the organisers, an after party has been tentatively planned to occasion at the uptown Room 101 cafe’ located at Jacaranda Mall. 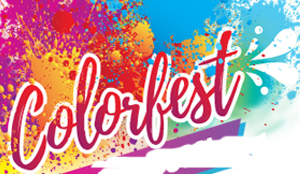 Next weekends’ ColorFest will also have a rich line up as the likes of Chef 187, Drimz , Llyodle, Chills Kalampa, Lady Vogue , Danny TSG and Humayne are expected to dish out music to enthrall entertainment hungry revellers. For instance , award winning Copperbelt rapper Chef 187 is anticipated to offload hits from his current studio project titled Amnesia while Central Province based singer Drimz of the Sault Muli Soup fame is earmarked to sweeten the event with a wave of songs such as Ireen Mambilima and Pakafye. Still the likes of Lady Vogue, Lydolle and Danny TSG who recently cut their music teeth are also expected to unleash salacious tunes to wow their devoted fans. Disk Jockeys Joe Brown, Razor, Xclusive and Selfie have been lined up to spin the wheels of music while the Tilowa duo of K-Star and Kapembwa will run riot with a sack of comics. The young but equally talented funnyman Benas Money will be the Master of Ceremony at this Jive FM, AME, Colour Your Life, G.R.A.P.H.I.C.S and EMF organized event. According to the organisers, there will be some surprise packages to would be attendees.